I think I actually timed this visit to Central Park a bit too early for peak fall foliage. I believe it was at its height 1-2 weeks after this visit of mine last October. Still, it was a pretty stunning morning and I was well pleased with the images I captured. 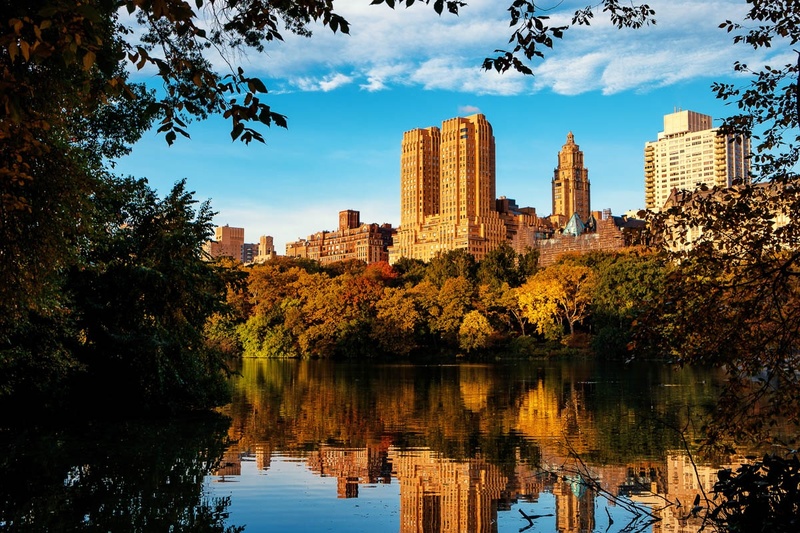 This is the Central Park Lake, which is the scene of some of the most picturesque spots in Central Park and even New York City. Very cool. Every time I just glance at this image I think I am looking at an image of Cathredal Rock in Sedona Arizona. Well done. what vibrate colours! I am already missing fall now that the dead of winter has set in.